Millions of years ago, the Indian land mass “crashed” into the Eurasian Plate; the Himalaya range was born and Nepal is in the heart of this exceptional highest land on the planet. Amongst the 10 highest mountains in the world, 8 are in Nepal. The most famous one is Mount Everest (8848m), but once you will visit Nepal you will get used to other sacred giants like the Kangchenjunga, Lhotse, Makalu, Cho Oyu, Dhaulagiri, Manaslu, or Annapurna. All of them are more than 8000m above sea level. Nepal is home of many peaks above 6000 and 7000m high. It is also a land of wonderful fauna and flora, landscapes, forests, waterfalls, rivers, and very generous and kind people. 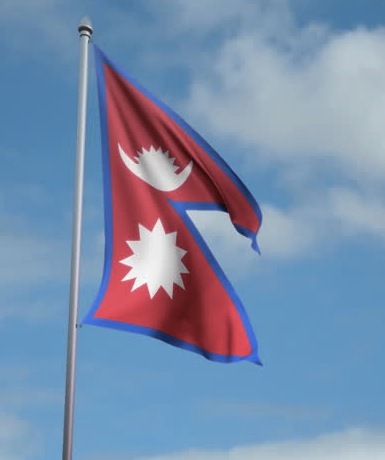 Another important thing to know about Nepal is that it is also the land of Lord Buddha who is born in Lumbini, south of Nepal. The spiritual and religious life is very present in the daily life of Nepali people. The historical mix between Hinduism and Buddhism can be observed when you arrive to the capital Kathmandu, which will offer you plenty of temples to visit and religious festivals and rituals to observe. We (Carolina and I) spent around three months in Nepal, from April to June 2017, where we visited and stayed in those cities: Kathmandu, Bandipur, Pokhara, Annapurna Circuit, Tansen and Lumbini. You can locate those places on the map below. You will find on this page some information about those places, as well as some useful and trustworthy contacts we made on the way. We will be happy to help if you have any questions about those destinations; just write us! Kathmandu is the capital and the main hub for travelers coming and leaving from the international airport, as well as the home of many travel agencies and organized expeditions for treks especially toward the Everest region at the east or the Annapurna region to the west. We stayed a total of around two weeks in Kathmandu. It was exceptionally dusty when we were there, but it is getting much better; otherwise, the city has a lot of places to see, especially temples and monuments related to the ancient Nepali civilization. Metro Eco Hotel, only a street to cross to be in the Thamel touristic area. Location on Google Maps: click here. Contacts: The owners are Dil and Puja. They are our friends and they are very reliable. You can book directly with them and also let them organize a pick up from the airport for you to make things easier. Phone number: Dil – 9851019046. Price: Expect to pay around 1000 NPR a night depending on the season. The hotel has excellent rooms, very good WiFi and a roof top terrace with a restaurant. Our friend Dil is also the owner of a travel agency. He operates it for years and he is very reliable. He can organize flights, airport pickups, treks, special expeditions, etc. His office is located in Thamel (here). The agency is called Adventure Metro Everest Treks & Exp. You can find more information on their Website. Dil Bahadur Chhetri on Facebook. Bandipur is a hilltop village between Kathmandu and Pokhara. It is much less known and less visited, but it is really worth the stop. It is one of the most beautiful villages we have seen in Nepal. Life in Bandipur is very calm and relaxed. There is no trafic, no horn, no dust. The people are very welcoming, smiley and generous. There are a lot of walks in the surrounding hills to do and other villages around to visit. Some of them like Ramkot, are totally cut from road transport and offer you an inside look into the farmers life in the rural Nepal. Bandipur Inn (here on Google Maps). It is perfectly located because it is few minutes walk from the main Bazaar road. It is in the heart of the life of the locals. The rooms are very cheap, modest and clean. There is WiFi and the family is very kind and generous. The name of the owner is: Tak. N.B. : Don’t confuse it with the “Old Inn Bandipur”, which is a more luxury hotel in Bandipur. To go to Bandipur whether you are coming from Kathmandu or from Pokhara, you have to take the bus to Dumre (see the red pin on the map). From Dumre it is easy to catch another bus up the hill until Bandipur. Pokhara is located in a big valley in the Himalayas and is considered as the touristic capital of Nepal. Within only 30 or 40 km, the elevation rises very quickly upto more than 7000m high. Pokhara is located at around 50 km of distance from three among the 10 highest peaks of the world: Dhaulagiri (8167m), Manaslu (8163m) and Annapurna I (8091m). This exceptional location makes Pokhara the starting point of famous treks, especially the Annapurna trek. Lake Side, along the Phewa Lake, is the main touristic area and offers plenty of guest houses and hotels for all kind of budgets. Life in Pokhara is very relaxed and enjoyable. All kinds of food and restaurants are available in Lake Side area, from the traditional Nepali Dhal Bhat (rice with curry and lentils) to Pizza, Chinese, Mexican or Thai food. Smoking marijuana is also part of the Lake Side life. Even if weed is officially illegal, it is very abundant and cheap, and it is common to see groups of people rolling and smoking joints particularly in the north area of Lake Side, as it is very tolerated by the authorities. The Sun Shine Hotel at the north area of Lake Side (see the yellow pin on the map). The Hotel is run by a very kind Nepali family. The rooms are clean and the prices are very good. They have WiFi and a very nice roof top terrace with a view on Phewa Lake. Price: Around 500 / 800 NPR a night. In Sarangkot (1600m), where you can have a panoramic view on the Himalayan peaks, I met by chance with Binod Pariyar. After a random talk, I figured out that Binod is actually a highly experimented trekking guide who walked a big part of the Himalaya mountains crossing some countries borders notably with the British explorer Levison Wood in 2015. Yarchagumba or Yartsa gumbu (Ophiocordyceps sinensis), a famous medicinal fungus used in traditional Tibetan and Chinese medicine. Himalayan wild honey, also known as Himalayan mad honey or Himalayan hallucinogenic honey. It is a honey produced by the world’s largest honey bees (Apis dorsata laboriosa). Reishi mushroom (Lingzhi mushroom), an ancient medicinal mushroom used in traditional Chinese medicine. If you are interested to buy online those products or other natural herbs, don’t hesitate to contact me. Ngima keeps always high quality products. He is a very honest and trustworthy person. Contact: you can also contact Ngima Sherpa directly through his Facebook here. The Annapurna trek or the Annapurna circuit is a popular trek around the Annapurna mountains range. We are preparing a special page to give some useful information about the trek. We will put the link here as soon as it is online. Tansen (1350m) is a beautiful city and it has a moderate climate as it is on higher altitude than the valley of Pokhara for example. Lumbini (150m) is mainly famous for being the birth place of Buddha. We didn’t spend a long time in those cities and we don’t have special contacts to provide. Going through Tansen and Lumbini was mainly a part of our journey to cross the border from Nepal to India, and we can provide information about the Sonauli border crossing as well as about the Indian visa in Kathmandu. Dil, Kathmandu. For travel organization, hotel, transport, trekking, business. 9851019046 / dilchhetri@gmail.com / Dil Bahadur Chhetri on Facebook. Ngima Sherpa, Pokhara. For traditonal medicine herbs, Himalayan wild honey and Yarchagumba (Yartsa gunbu). Chhring Ngima Sherpa on Facebook. Internet connection is improving very quickly across Nepal. As for 2017, the wired connection is generally very good in Kathmandu where the speed is around 5 MBPS. Outside of Kathmandu the connections become quite slow, but the 3G is available in most cities and is good enough to work and to Skype in Pokhara for example. The best 3G is available with Ncell. The speed of the Ncell connection in Pokhara was around 3 MBPS.